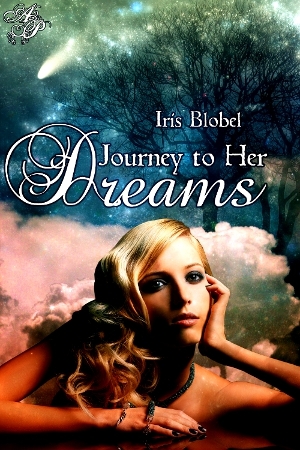 I’m excited to present Iris Blobel , author of Journey to Her Dreams. My book review is on my home page. Biography: Iris Blobel was born and raised in Germany and only immigrated to Australia in the late 1990s. Having had the travel bug most of her life, Iris spent quite some time living in Scotland, London as well as Canada where she actually had met her future husband. Her love for putting her stories onto paper has only recently emerged, but now her laptop is a constant companion. 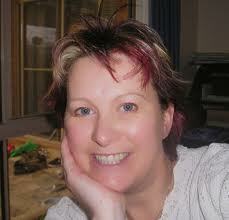 Iris resides west of Melbourne with her husband and her beautiful two daughters as well as her dog. She works at private school in town, but also presents a German as well as a Community Program at the local Community Radio. What is Journey to Her Dreams about? Journey to Her Dreams is set in Australia and Ireland and follows a young woman who is haunted by a recurring dream that eventually takes her to Dublin. This is where she meets Sam – and the following events have life-changing consequences for both. Who was your hardest character to write? Sam’s husband. His flaw is the alcohol, though he’s not a bad person at heart. I try to distance myself from saying I wanted to get a message out there, because I mainly write to entertain the reader and let them be taken away from reality for a little while. However, there are issues in the story which are close to my heart, like dreams or the idea of “perfect” is not always good for you. So, in a way, I do hope the readers will have a good think about it even after they’ve finished the book. What is the best piece of advice as a writer that you’ve been given and what is the worst piece of advice as a writer that you’ve been given? Tricky question – I like reading books by Jill Shalvis, Susan Elizabeth Phillips and Cecelia Ahern. They are must reads for me. But amongst my favourite books are those like “Effie Briest” (Theodore Fontane) or “84 Charing Cross Road” (Helene Hanff). I work at a private School part time, but also present two programmes at the local Radio Station VoiceFM. Add a husband and two beautiful girls to all that and there’s not much time for anything else! What is your best writing snack? Don’t tell anyone, but my addiction is a nice can of Coke J. And some good music …. and the fingers are just typing away! I’m about to prepare my third novel for submission. It’s my favourite one so far, with a young man becoming a father of a six-year-old girl literally overnight. I’ve also started my next project “New Beginnings” – about two sisters having a second chance in life. I assume this is where I’m supposed to say …. MY BLOG … but truth is, you won’t find much information about me there, because for me it feels odd to write about myself. So my best tip: Google “Iris Blobel” under blogs and check them out. There are quite a few guest blogs around nowadays! Great interview! You are a busy lady. I can’t wait to read Journey, and good luck with your submission! My fav. writing snack is M&M peanuts. I don’t have a website yet, so I don’t know how I will ‘manage’ it when I do … but (like you say) I don’t really like to write about myself. I didn’t know a writer could be ‘searched’ by looking under ‘blogs’ on Google. I may try that and see what pops up. do they give away samples? Staff members do … and it happens to be that a friend of ours is a staff member :-). That’s the friend I’d like you to introduce me to.